Can We Measure Our Own Galaxy Speeding Through Space? You’re probably sitting still, right? Wrong, absolutely wrong. Not only are you on a spinning orb, but you’re also travelling around 70,000 miles per hour around a star, in a galaxy that, observations imply, is sailing through space at over a million miles per hour. If the above numbers seem shocking, they shouldn’t be. The laws of physics look and feel the same for any object so long as it’s not accelerating, the way you can’t feel that a car is travelling at a steady 60 miles per hour unless you look out the window. But that also makes our galactic speed hard to measure from here on Earth. The million-plus mile per hour number is based on measurements of how the most distant objects in the Universe appear to move in comparison to us, but scientists want to try to measure our acceleration by looking at more nearby objects. 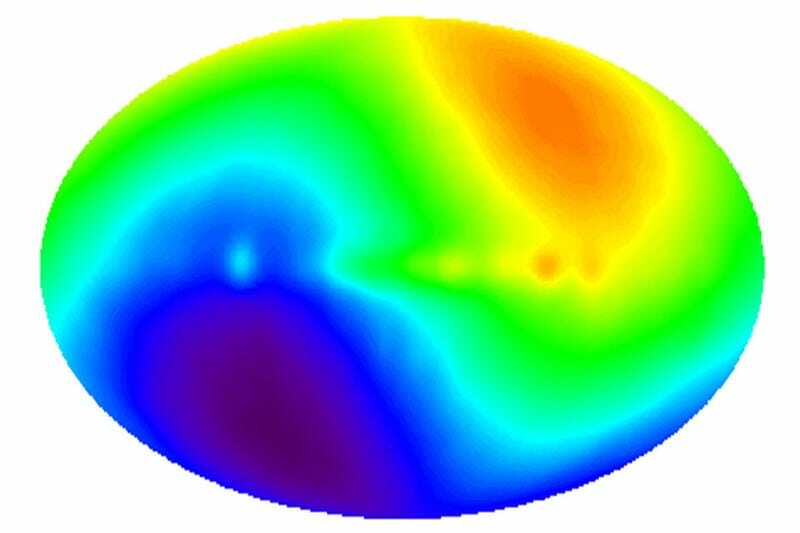 Scientists have mapped the sky based on the most distant light available, called the cosmic microwave background. This ancient light had been redshifted, as space itself expanded and stretched out the light to longer wavelengths. But the light was more stretched in one direction than the other, revealing that the Earth was travelling, relative to the rest of the universe, at 600 kilometres per second, or 1.34 million miles per hour. It’s proven difficult to measure this velocity more locally, but perhaps measuring the acceleration, relative to the rest of the universe, could help constrain that velocity. And we should be accelerating; the most basic law of physics is that if an object has some force acting on it, then it will speed up or slow down with an acceleration proportional to its mass. Galaxies throughout the Universe are acting on the Milky Way through gravity, so we should be accelerating, perhaps a teeny bit. Measuring this acceleration would require observing other galaxies, and watching how their relative positions appear to change over time, according to the paper published this week in Physical Review Letters. This isn’t an easy observation, given how slight the position change would be, explained Marinoni. But he doesn’t think it’s impossible — perhaps new telescopes like the Large Synoptic Survey Telescope or the Square Kilometre Array of radio telescopes will have enough resolution for scientists to calculate the change after 10 years of observation. Marinoni’s paper is just a proposal right now, so don’t expect this measurement any time soon. But perhaps it could help physicists test the limits of their existing theories and constrain any alternative theories. And hey, it would add another mind-blowing number that we can use to illustrate our thrilling ride through the cosmos.